Eastern Europe is a fun and exciting place to travel once you’ve ticked off all the big famous tourist cities. I spend a month visiting the Czech Republic, Poland, Budapest and Croatia. I absolutely loved my time in Prague, Czech Republic and here is my pick of the top six must dos in Prague. I loved Prague and found it to be a magical city with so many wonderful things to see. Narrowing it down to six is pretty damn impossible but here’s the list! I’ve cheating along the way by squeezing a few more things in! But hey – its Prague, often referred to as the heart of Europe. 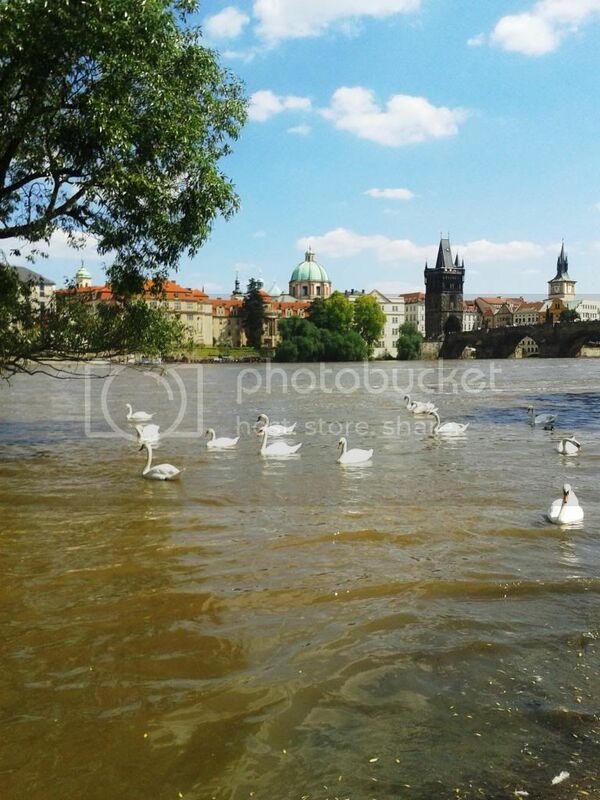 I’m including Charles Bridge in the Old Town recommendation. I know its cheating but a list of six is very difficult. The Charles bridge is incredibly beautiful but also covered in tourists – go very early or late in the evening for a quieter stroll along the bridge. For a special view of the bridge which you won’t find in your average guidebook walk down to the Franz Kafka Museum where you will find an opening to the water and plenty of swans. I seem to have ‘Eat like a local’ on all my must do lists. I can’t help it! I’m food obsessed! And Prague has some serious foodie treats! 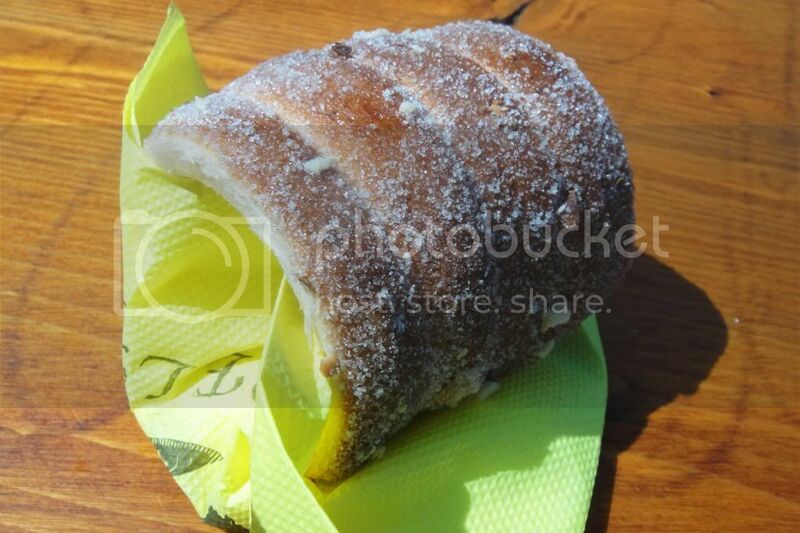 Prague is famous for Trdelnik which is a rolled tube of grilled dough sprinkled with sugar and nuts. It is absolutely delicious and you can find out more and where I found some here. I was visiting Prague during the summer months and was desperate to find some good gelato. 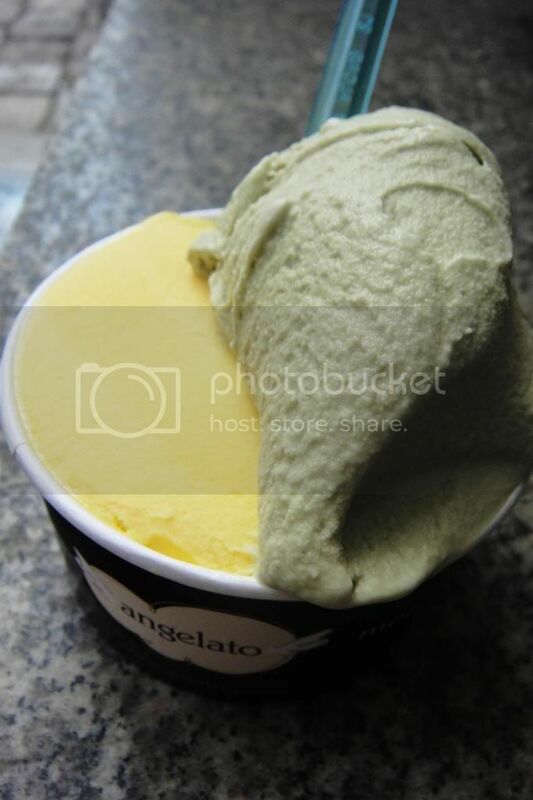 I thought I would struggle to match my gelato experiences in Rome but I struck gold with Angelato and their pistachio gelato just off the Old Town Square. And while we are discussing all things sweet – I discovered an incredible Bakery called the Bakeshop which stocked every kind of cake or pastry you could ever wish for. Even if you don’t have a budget for fancy cakes pop in to feast your eyes! Climb up the mini Eiffel tower of Prague to get an amazing view! The Petrin Tower allows a view of many of the tourist highlights including the Prague Castle and Charles Bridge. While in the Petrin Tower area don’t forget to visit the Memorial of the Victims of Communism in Prague which is a very striking memorial with very tasteful art. 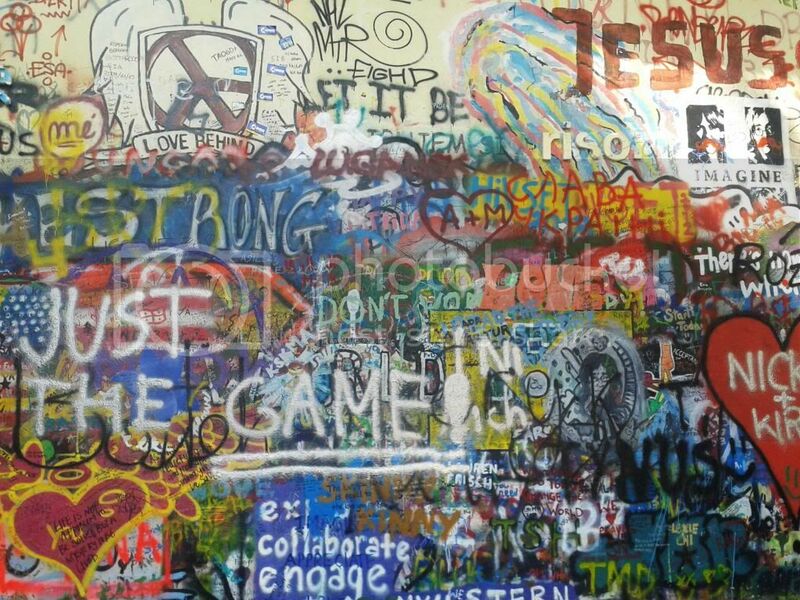 The Lennon wall is absolutely magical! It started in the 1980s when students used to fill the wall with John Lennon-inspired graffiti and pieces of lyrics from Beatles songs. At the time the wall was a passive protest agasint the communism regime but now stands as a symbol of love and peace. The original graffiti has long been covered but now people come from all over the world and share their message on the wall. It is truly wonderful to see a wall covered with messages of love, acceptance and peace. Definitely worth a visit! Can be found just under Charles Bridge on the Castle side. Bring a marker pen and share your message. Location: Velkopřevorské náměstí, Malá Strana. Troja is a little outside the touristy area of Prague. I had to take an underground and a bus to get to my final destination and I got a little lost. I got lost because I’m not good at busses not because it is difficult. But the day I spent in the Troja area was probably one of my favourites and is worth the little extra travel time. While in Troja I visited the Prague Zoo! I love Zoos! There was so much to see and do and the zoo I could easy have spent a few hours. My favourites were the beautiful giraffes, the polar bear swimming laps and all the different foxes. I must visit for both young and old! And I visited the Botanical Gardens which was very special because there wasn’t a single tourist in sight! The highlights of my time in the gardens was walking barefooted through the statue garden especially the charming kissing couple statue. I loved the Japanese gardens filled with intricate bonsai trees, water features and little arch bridges over the running streams. The Vineyards of St Claire were established in the 13th Century and the top of the vineyards offer the most wonderful view over the Troja Region and the Troja Palace. Don’t forget to visit the Troja Chateau which is a gorgeous brick red and white chateau complete with a french style garden and magnificent staircases one of which contains a whole gallery of statuary with scenes of the Greek gods of Olympus fighting the Titans. The Chateau is across the road from the zoo and it is free to walk around the grounds. Before I left for Prague I did many many hours of research. During my research I found out about the artsist David Černý who scattered his art all over Prague. I had a long list of art pieces and locations and set out to find them all. I did a lot of walking and only managed to find these three! What was fantastic about this treasure hunt is that while I was walking around Prague I saw many wonderful things I might not have seen without the hunt. The two gentlemen above are peeing into an area shaped like the Czech Republic and writing famous quotes from Prague with the water stream. Below is Man Hanging out which is Sigmund Freud hanging from a beam near the Old Town. And Horse which is a Patron Saint sitting on top if an upside down dead horse. Happy Prague exploring! Have you visited before? What are your must sees?